The Lord's Supper . 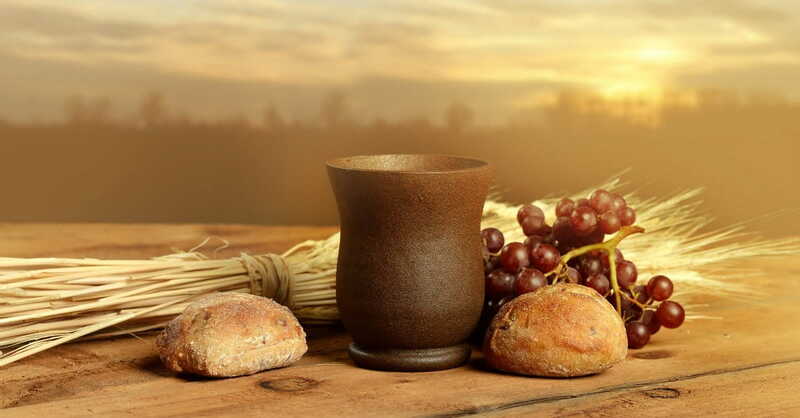 . .
As the disciples sat together, Jesus said, “‘Take, eat; this is My body which is broken for you; do this in remembrance of Me.’ In the same manner, He also took the cup after supper, saying, ‘This cup is the new covenant in My blood’” (1 Corinthians 11:24–25). The River Jordan unfolds a backdrop to many historical events in the Bible. One may think of the Jordan plain that was plush, green, and fertile, for which Lot chose to live before the destruction of Sodom and Gomorrah. One’s memory delights in remembering the miracle of the crossing of the people of Israel on dry land in the Jordan River to possess the Promised Land. Take great enjoyment thinking about Naaman dipping in the River Jordan seven times, coming out totally healed of the dreaded leprosy. What joy in seeing in the mind’s eye, the miracle of Yeshua baptized in the River Jordan and coming up. It thrills us all to imagine the white Dove descending upon Him and Father God speaking the most powerful words of proclaiming His approval from Heaven! Yes, one could hear the deep, deep majestic voice of our Daddy in Heaven with such authority! So in conclusion, it would seem that anyone traveling to Israel must have on their "to do" list, "baptism in the River Jordan." Therefore, the Intercessor and her family chose to be baptized in the Jordan River on their trip to Israel. 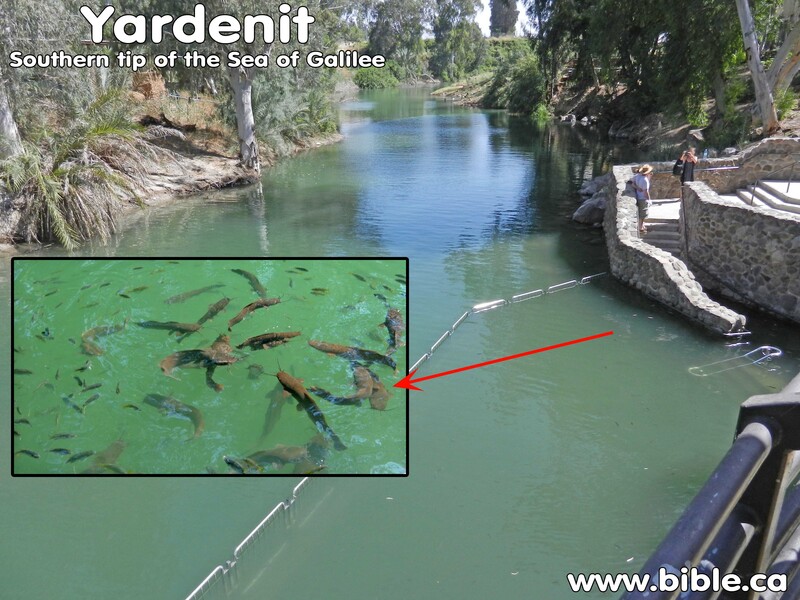 As the buss dropped off the sightseers, they all quickly moved up to the fence to see the famous Jordan River . . . the same for which their Savior was baptized in. What a thrill it was to be at that very same river! As you looked down at the slow moving greenish brown colored river, you could see the extremely large catfish resting on the bottom. “They are huge” she gasped, a bit intimidated at their size. The Intercessor would take a deep breath in gathering up her courage to go into the depths of the Jordan with these docile and harmless giants. This was too good of an opportunity to pass up, despite their horrendous size! This was one of the highlights of the whole trip as the Intercessor and her husband decided to renew their wedding vows in the Jordan as well. She remembered, the pastor proclaiming that the bad memories of the past were to flow down the river to “be remembered no more.” The flow of tears that day was tremendous! This time, this was tears of joy instead of grief. The Intercessor was back at the River Jordan where she was baptized on one of her trips to Israel. In fact, it was the very same place! As she looked to see the face of her pastor, she was unexpectedly surprised to find it was not her pastor at all, performing the baptism! It was Yeshua, her Beloved! In addition, if you looked closer at the river, you would see that it was no longer green but Blood red! Yes, it was flowing with the Blood of Christ. As she submitted herself to her beloved Savior, He proceeded to baptize her . . . not once, not twice, but seven times in the Jordan River! Dream ends. Revelation of His Blood and the power of His Blood are being released to His Bride! Healing and Deliverance through increased faith in the power of His Blood is coming to cleanse the Bride of Christ! As the enemy has come in like a flood, the Lord is raising the standard, and the standard is His Blood and His Word! He is covering us with His Blood! He is cleansing us of all unrighteousness! So allow Him to finish His work! Allow Him to circumcise your hearts in preparation to the crossing over. The time to cross over into the Promised Land is upon us! Are you submitted, and totally surrendered to Christ? Then resist the devil, and he must flee! Therefore, the Battle belongs to the Lord (of Hosts)! Only the Blood and the Word can protect us from the wiles of the devil, as we submit and resist. We are the overcoming church of our Lord and Savior Yeshua Ha Mashiach (Jesus the Christ)! Dwell in the light of the Word of God, fellowship with God and Jesus and His Blood will cleanse you of all unrighteousness! Strongholds are coming down! Sickness and disease will no longer overtake His precious Bride! Allow the gift of repentance to come into your home as it is being released in the heavenlies! The cry for repentance is at hand! Praise and Glory is to God our Father! 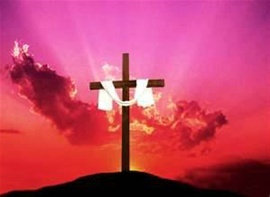 Now when I passed by thee, and looked upon thee, behold, thy time [was] the time of love; and I spread my skirt over thee, and covered thy nakedness: yea, I sware unto thee, and entered into a covenant with thee, saith the Lord GOD, and thou becamest mine. But he [was] wounded for our transgressions, [he was] bruised for our iniquities: the chastisement of our peace [was] upon him; and with his stripes we are healed. Knowing this, that our old man is crucified with [him], that the body of sin might be destroyed, that henceforth we should not serve sin. [Saying], Blessed [are] they whose iniquities are forgiven, and whose sins are covered. The River Jordan originates in the Hills between Mt. Hermon and Mt. Lebanon and travels down through the Sea of Galilee down south to end at the Dead Sea! As the Intercessor was washed seven times, her sins were to go to the Dead Sea to be remembered no more! The Dead Sea is so full of salt that nothing can live in it. Salt cleanses. An Old Testament expression for an everlasting covenant (Num 18:19). Salt was an important commodity in the ancient world. It was used for seasoning foods as well as to purify and preserve certain substances. Thus, a covenant of salt indicated faithfulness, dependability, and durability. 12 For I will be merciful to their unrighteousness, and their sins and their iniquities will I remember no more . 17 And their sins and iniquities will I remember no more .